Tony…How ya’ doin’? I suppose I could have talked to you on the phone or e-mailed you about it, but I wanted to document this in a public forum. You and I have had the advantage as music publishers seeing a song go from the demo stage to number #1 like “TIE A YELLOW RIBBON (“ROUND THE OLD OAK TREE)” in a matter of months and my readers have told me how much they envied that opportunity. NOW here is everyones chance to see the process in action. Alan O’Day (“UNDERCOVER ANGEL”, which is in the number one movie “SUPER 8”), Sally Stevens, and I just wrote a song about the biggest world phenomenon FACEBOOK…and their over half a billion FACEBOOK FRIENDS! Not to rush you, of course, but If you like it and record it in the next 24 hours it could be up on ITunes by the weekend. My FACEBOOK friends Alan O’Day (“UNDERCOVER ANGEL”, “ROCK AND ROLL HEAVEN”), Sally Stevens, and I want to share a song we wrote about FACEBOOK…not about the technical aspects, but about the humanity and the world’s new way of shaking hands! ANDREW GOLD R.I.P. ROCK IN PERPETUITY! The first time I met Andrew Gold was at a little studio off of Melrose in Hollywood, where my friend Val Garay was engineering his first album. The music was so loud and captivating I didn’t catch the name of the guy sitting next to Val who was quiet and unassuming; I thought he was the second engineer , not the rising star himself. Andrew was one of the writers of the time who held onto, wrote about, and promoted traditional values. 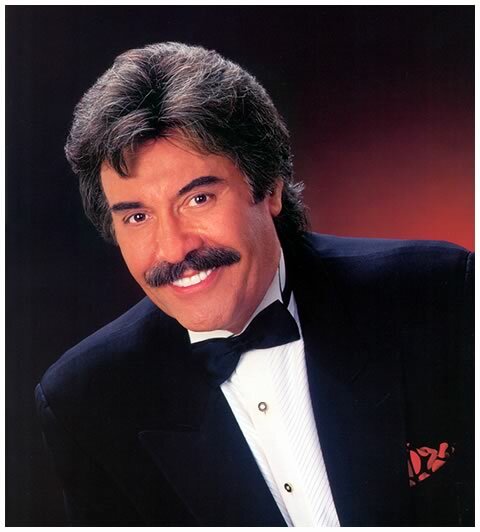 In “Thank You For Being A Friend” you don’t doubt his sincerity for one minute and are happy everytime we hear it blasted on an oldies radio station or listen to it on an episode of the “Golden Girls”. Andrew Gold may you ROCK IN PERPETUITY! When I asked my friend, Photographer/blogger and Facebook enthusiast, Sally Stevens, how often I should check my Facebook home page, she suggested five or six times a day…or better still, keep a window open to it at all times. When I did that, I understood why so many people are fascinated by the activities of their Facebook friends, who they can observe from a safe physical and emotional distance. Even though I’ve been up on Facebook over a year I’m still learning how to use certain aspects of it. Whenever I need to know something I ask my friend and fello blogger Sally Stevens, and she either tells me or shows me where to find it. AW – How do you upload your music to FB? SS – Once you have converted your music files to an mp3 format – which you can do using programs like Switch – you sign up for SoundCloud. Use FB to log in – I found that to be easy. You then upload your music to your wall using SoundCloud. The instructions are pretty easy to follow. Even I can do it! LOL! 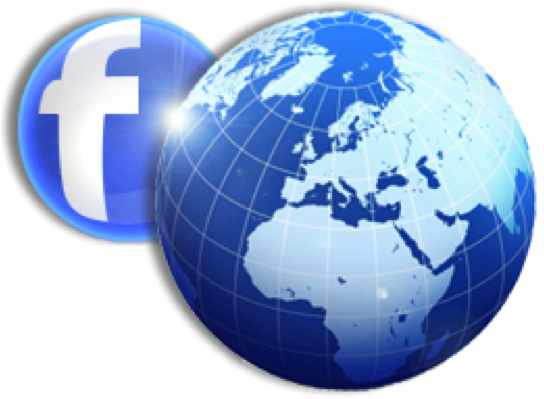 AW – What’s a good source for general info on FB, news, updates, FAQs, etc.? AW – When do you unfriend someone? SS: Absolutely subjective. Your mileage may vary. When the subject of Jim Morrison came up, I spoke about my first trip to Paris in 1974 and the Alcazar night club. I was told by the manager that this is where Jim really died of a drug overdose and was carried out of the club over the heads of some dancers, as if he was part of the act! Out of curiosity. I started asking friends from that era if they had any other stories, then my friend publicist Bobbi Cowan told me one about Jim after he passed away. I was the new publicist in town in the mid-1960s, and my partner Beverly Noga and I were regulars at the newly –opened Whisky A-Go-Go. The Doors had become the house band there, but they didn’t stay “underground” for long, as word of this charismatic young poet/lizard king and his band circulated throughout the city. Whisky Owners Elmer Valentine and his partner Mario Maglieri quickly knew that The Doors had a fascinating, mysterious sound; their lead singer had Charisma to burn. Nevertheless, they did fantastic business, and the Doors were soon signed to Elektra Records.. In 1971, I’m working at Uber- Rock n’ Roll PR firm Gibson & Stromberg, where the Doors were clients, and Danny Sugerman, the Doors’ Gopher, was in and out of our office daily, when he wasn’t on an errand for the Doors. A few days after I started working at Gibson, Morrison was dead, according to the main story, found by his wife Pamela, in their bathtub in Paris. There are other stories floating around about how and where he died, but, there are many who believe that death never occurred. 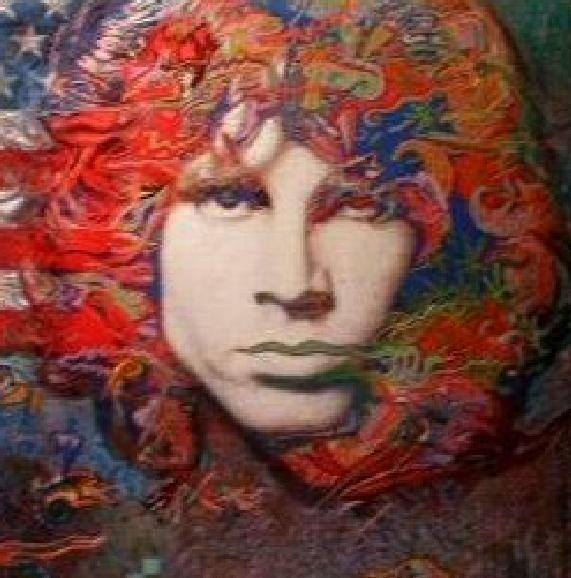 Nevertheless, Morrison’s grave in Paris has been desecrated, decorated, and visited by millions of fans. Danny got the word out that he had written a book but…the word was that the book was a mess, and I believed that to be true, as I had heard Danny and his life were a mess…He was a frequent Genghis Cohen customer, so Artie can probably back me up here. Hopkins saw Danny’s book, which was a mess, but eventually “No One Here Gets Out Alive” was mostly the product of Jerry’s vast archive of interviews and his journalists’ perspective about Morrison and the Doors, interspersed with anecdotes and stories from Sugerman’s effort. Years later, Danny’s own book was published, which included much of his material on the Doors. Jerry flew me to Honolulu, where I had a room in a Waikiki high rise, and he brought me the manuscript of the completed version. I couldn’t put it down, read it straight through, and called him telling him that I felt this book could be gigantic. Finally, here was a fascinating, exciting, well written account of Morrison and the Doors. I was hired for the PR and we commenced planning a launch party at the Whisky, where the Doors’ LA odyssey had begun. We made every effort to locate as many of the people from Elektra and who had been involved with the Doors in the early days.. Many of the principals showed up, including Elektra founder Jac Holzman, who had signed the Doors to his extraordinary label. It was an Electric night at the Whisky; the three remaining Doors agreed to perform, along with many local musicians, among them one of LA’s best underground band, Top Jimmy & the Rhythm Pigs. Special thanks to Bobbi Cowan, Jerry Hopkins, and Sally Stevens for their help with this article. When I moved to Hollywood in the early ‘70’s the Whiskey Au-go-go and the Troubadour were the sun and the moon in the Rock and Roll universe. If you were in the music business you went to the Whiskey to dance and you went to the Troubadour to hustle, hype, and hang out! Monday night was “Hoot Night” at the legendary hot spot, it was not only a place to hear new singer/ songwriters, but also a place to “Schmooze” with all of the top music reviewers, promoters, publishers, and producers. I was the new kid in town, and to gain tenure at the bar where all the “heavies” hung out, I had to make an impression fast. One night after I took my friend Olivia Newton-John dancing at the Whiskey, I asked her to stop by the Troubadour so I could make my friends at the bar “jealous”. 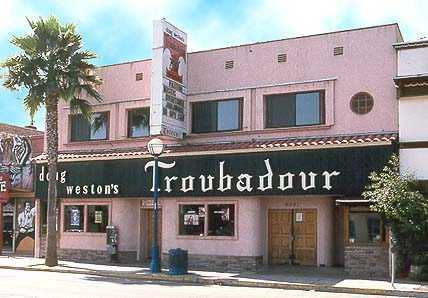 Suddenly, dozens of people gathered around us, including all the hot shots acting like my long lost friends, wanting to be introduced…from then on I never had to buy my own drinks at the Troubadour ever again! EXTRA! EXTRA! 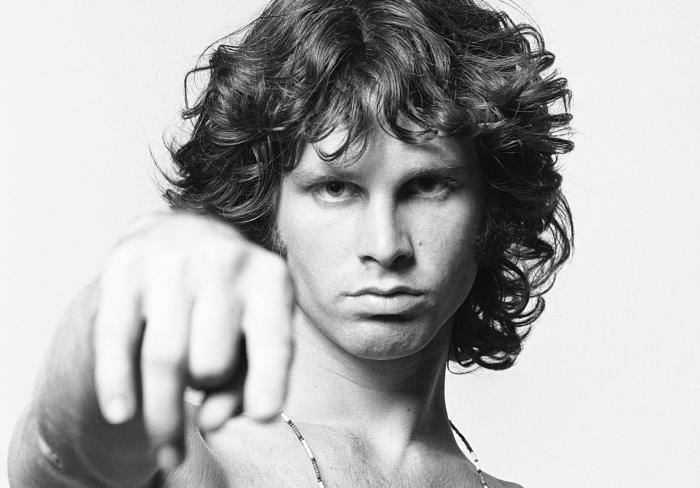 “EVERYTHING OLD IS NEWS AGAIN” When my friend Photographer Sally Stevens and I reconnected through “Lezlie Sokol” and the Troubadour Family Reunion, the name Jim Morrison and his recent pardon came up. Then Sally told me a riveting story about how her confrontation with Jim Morrison got her fired, and how it turned into a lifetime friendship with the Lizard King. I asked her if she was writing a book about this and her other amazing stories…she said she didn’t have the time. Then I told her about the joys of blogging.